After seeing the hard break yesterday afternoon, many traders have started to see the cracks in the bull foundation. After trading as high as 10,119 yesterday, an analyst downgrade of Wells Fargo late in the day precipitated a rapid collapse in prices with the Dow falling 170 points to 9,949 for the close. I studied the situation in 1906 and I thought that the money outlook was particularly serious. Much actual wealth the world over had been destroyed. Everybody must sooner or later feel the pinch, and therefore nobody would be in position to help anybody. It would not be the kind of hard times that comes from the swapping of a house worth ten thousand dollars for a carload of race horses worth eight thousand dollars. It was the complete destruction of the house by fire and most of the horses by a railroad wreck. It was good hard cash that went up in cannon smoke in the Boer War, and the millions spent for feeding nonproducing soldiers in South Africa meant no help from British investors as in the past. Also, the earthquake and the fire in San Francisco and other disasters touched everybody--manufacturers, farmers, merchants, labourers and millionaires. The railroads must suffer greatly. I figured that nothing could stave off one peach of a smash. Such being the case there was but one thing to do--sell stocks! I told you I had already observed that my initial transaction, after I made up my mind which way I was going to trade, was apt to show me a profit. And now when I decided to sell I plunged. Since we undoubtedly were entering upon a genuine bear market I was sure I should make the biggest killing of my career. The market went off. Then it came back. It shaded off and then it began to advance steadily. My paper profits vanished and my paper losses grew. One day it looked as if not a bear would be left to tell the tale of the strictly genuine bear market. I couldn't stand the gaff. I covered. It was just as well. If I hadn't I wouldn't have had enough left to buy a postal card. I lost most of my fur, but it was better to live to fight another day. ...Was I fundamentally wrong in being bearish or merely temporarily wrong in having begun to sell short too soon? There I was--right and busted! ...That is what happened. I didn't wait to determine whether or not the time was right for plunging on the bear side. On the one occasion when I should have invoked the aid of my tap-reading I didn't do it. That is how I came to learn that even when one is properly bearish at the very beginning of a bear market it is well not to begin selling in bulk until there is no danger of the engine back-firing. While I have turned bearish twice in this rally, I was quickly proven incorrect both times. The market does not turn in a day after a large bull move, now 60% off the lows in the S&P 500. But, it begins showing signs of weakness with days like yesterday, outside bearish reversals. Yesterday's sell-off was fast and violent, unlike any of the action we have seen for months now. I will not let myself commit to shorts yet though. I will need to see several more days like yesterday to really start believing the rally is done. I won't make the same mistakes of trying to pick the top as I have already done. The huge earnings gap higher on Wednesday in Apple, a major market leader, and its inability to come in with the market's weakness makes me believe this rally may still have legs. Goldman Sachs has been the key to every move in the market for the last year and it is still holding up. If GS can reclaim yesterday's selling and make a push through $200, we may have the most profitable long trading ahead of us yet in the last euphoric move. 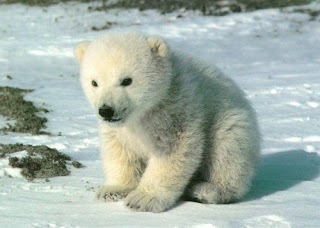 The selling yesterday was the birth of a baby cub but it is certainly yet to become a full-blown angry bear.